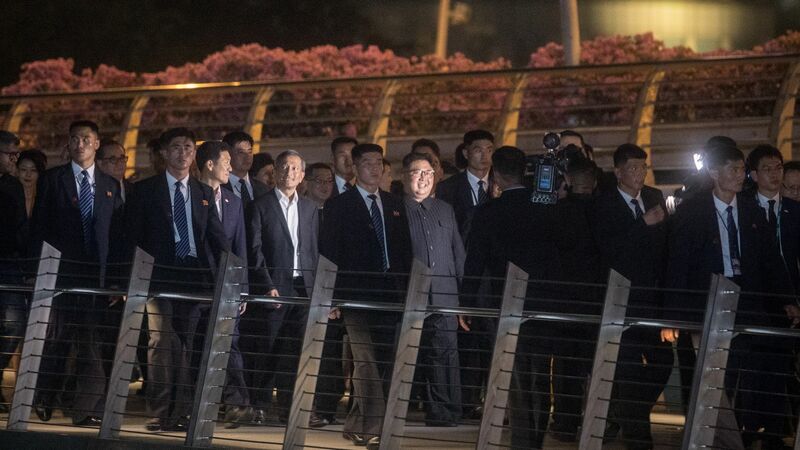 Ahead of his meeting with President Trump, North Korean leader Kim Jong-un surprised the people of Singapore with a public late night stroll. The big picture: The dictator, known for extensive human rights abuses at home, received cheers from assembled crowds hoping to catch a glimpse of him as he walked through the modern metropolis. The stop in Singapore is just Kim's third trip abroad as North Korea's leader — with two trips to China earlier this year in order to prep for tomorrow's summit.